The first episode of this 2018 Chinese drama, Unexpected – 来到你的世界 (lit. Chinese title: “I’ve Come to Your World”), has a very fascinating start. Unexpected has the setup of a manga artist suddenly thrown into the world of his own manga. This manga artist is He Jie (Lin Bai Hong) and his manga is Crystal Love (水晶之恋). 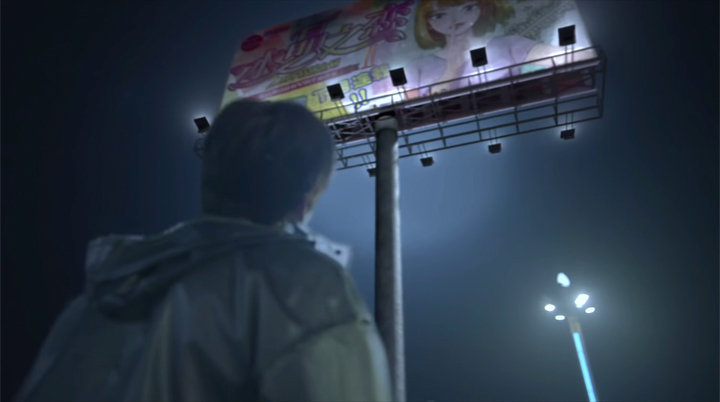 He Jie gets pulled into the world of his manga after avoiding a collision with a truck and hitting a billboard advertising the manga. The billboard descends onto him and he comes to be under the water of Lake Crystal. 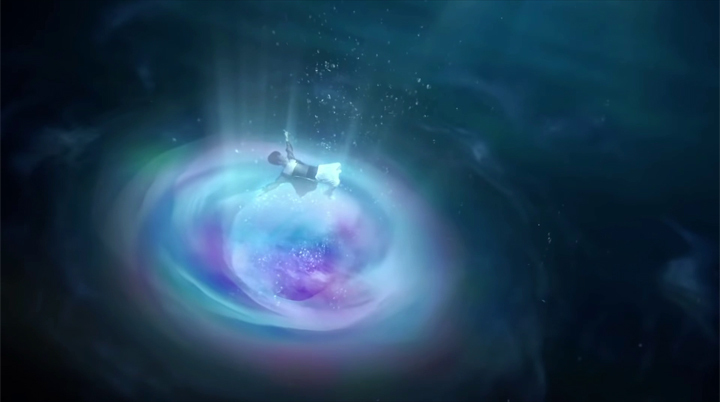 There’s time for He Jie to swim back to the aperture leading to his world, but his conscience turns him away from the aperture and towards a young college girl unconscious in the water. He Jie saves the college girl. The college girl is Lu Zi Xing (Li Hao Fei). In He Jie’s manga, Lu Zi Xing is the female supporting character who he describes as being a malicious person with many tricks up her sleeve. He Jie had enjoyed extreme popularity with his Crystal Love manga. For three years, his talent was also recognised with winning many awards and he was on the cover of magazines. That’s all the past when, before the moment He Jie entered into the world of his manga, he found out that the second installment of his manga is to be written by a fresh talent called Xiao Bai and the female lead character changes from Pei En Cai (Huang Yi Lin) to Lu Zi Xing without consulting him. Edits have already been giving to him, a press conference already held without his knowledge and then there’s the billboard advertising the latest installment of his manga that he veered into the pole of the billboard to avoid collision with a truck. It was already made and displaying out on the streets. 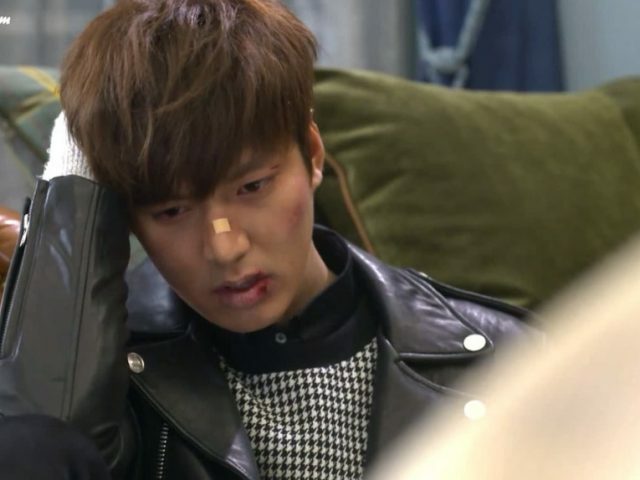 He Jie blames all of these unfortunate things that happened to him on Lu Zi Xing. He Jie is enraged when he finds out that the girl he saved and is accusing him of being a pervert is the villain character, Lu Zi Xing, in his manga. 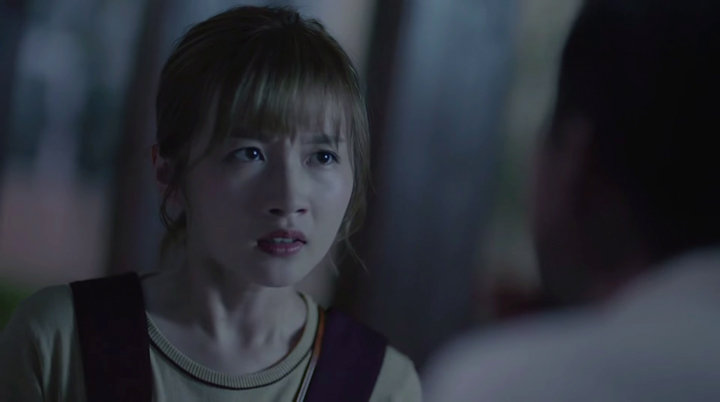 The two come to be at Crystal City Police Station when Lu Zi Xing finds He Jie’s action of going in to perform CPR on her as indecent assault from a pervert. Lu Zi Xing denies jumping into the water requiring He Jie to save her through performing CPR. She says she’s a timid person who can’t swim or be near a lake. 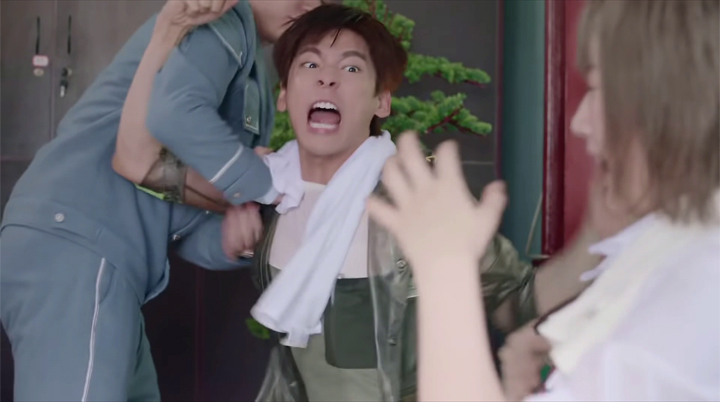 He Jie strangles Lu Zi Xing as he says Lu Zi Xing is lying about not being able to swim or go to the lakeside because she learnt to swim at the age of three, caught fish at the age of six and she works at a coffee shop by the lakeside. Lu Zi Xing is quick on her feet. She says He Jie knowing this much about her is showing himself to be a stalker. This sees He Jie placed in another room and told to wait quietly. He is then informed by someone who goes by the name, Luo Ji—a head of the police department who knows everything about who He Jie is and where he came from—that Lu Zi Xing’s welfare is vital to his survival. 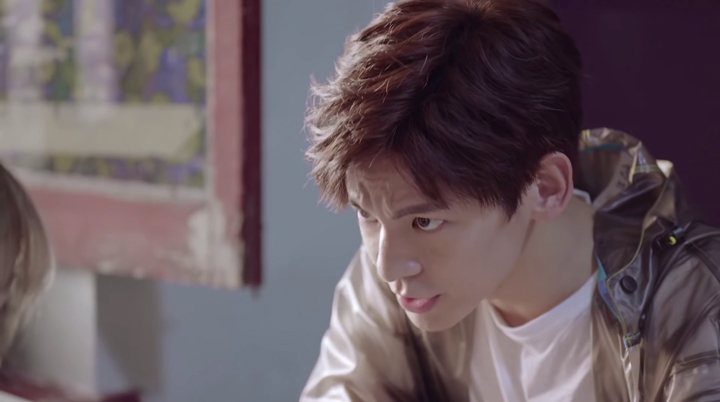 In order for He Jie to return back to his world, he must complete a mission that has to do with Lu Zi Xing. He Jie says the mission is out of his depths when handling woman and death are two things in the world he is most afraid of. Luo Ji tells him he has a special item that will provide him a bit of assistance. This help comes in the form of a magical pen that allows him to draw anything and it materialises into the real thing. 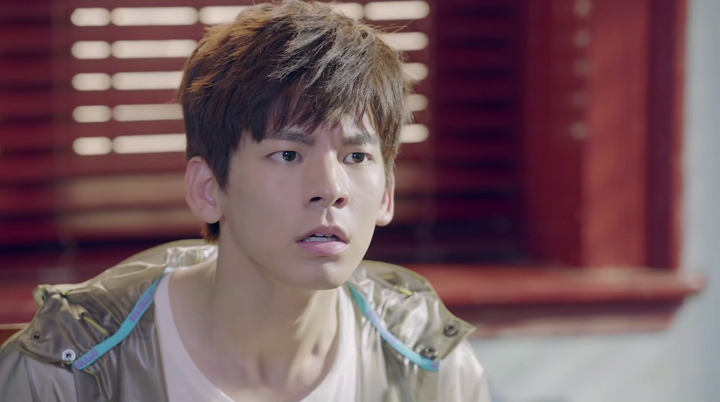 Offering Lu Zi Xing money is He Jie’s first attempt in changing Lu Zi Xing’s miserable fate. Looking for Lu Zi Xing’s home on Rainbow Road, he coincidentally finds Lu Zi Xing at Niu Sheng’s Noodle Shop where he stops to have something to eat. He Jie goes to Lu Zi Xing’s table after finishing paying his meal with some money he materialised through drawing a bundle of notes. This first attempt doesn’t bring any results. Lu Zi Xing finds He Jie arrogant when she isn’t pleased to hear that he believes he can buy her with money. Lu Zi Xing tells He Jie to not harass her again. Otherwise, she will report him to the police. 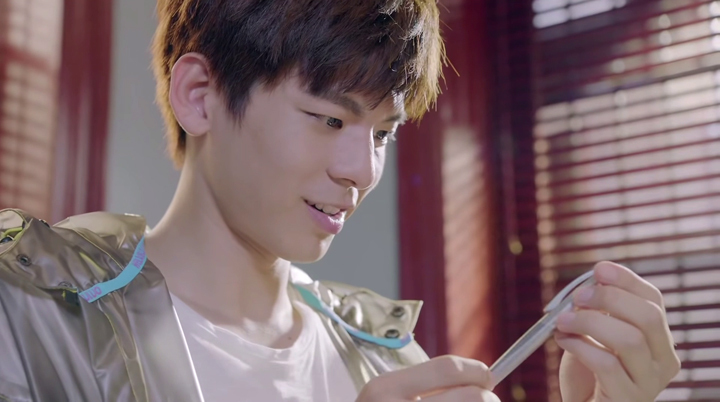 He Jie’s next move is to make sure Lu Zi Xing doesn’t fall for the male lead, Gong Cheng (Huang Jun Jie). Gong Cheng is described as every girl’s dream. He’s handsome, smart and wealthy. He is the heir to a group called, Gong Group. Like Lu Zi Xing, he is a student at Crystal College. Li Zi Xing going to Gong Cheng is said to be what brings Lu Zi Xing to go on the path of a miserable end for her at the end of Crystal Love. He Jie tells us that in the manga the first encounter Lu Zi Xing and Gong Cheng has is at the coffee shop where Lu Zi Xing worked part-time. He explains that in this scene in his manga Gong Cheng sits at one of the seats by the window—a place He Jie describes as Gong Cheng’s Listening to the Rain Pavilion. 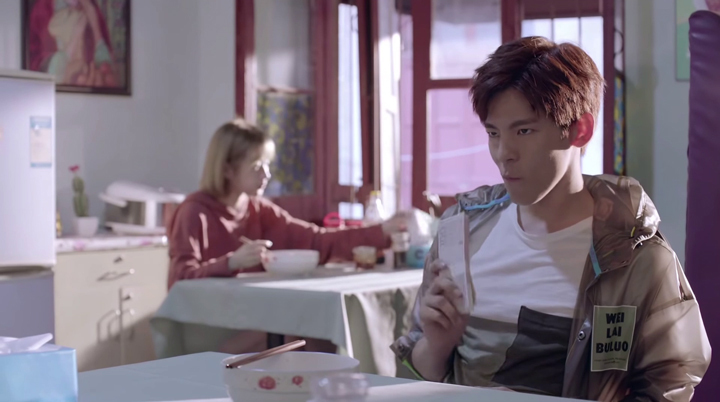 Gong Cheng’s presence at the coffee shop is for a blind date with the female lead, Pei En Cai. It’s a moment that sees Gong Cheng make a favourable impression on Lu Zi Xing and it brings her to become interested in Gong Cheng. 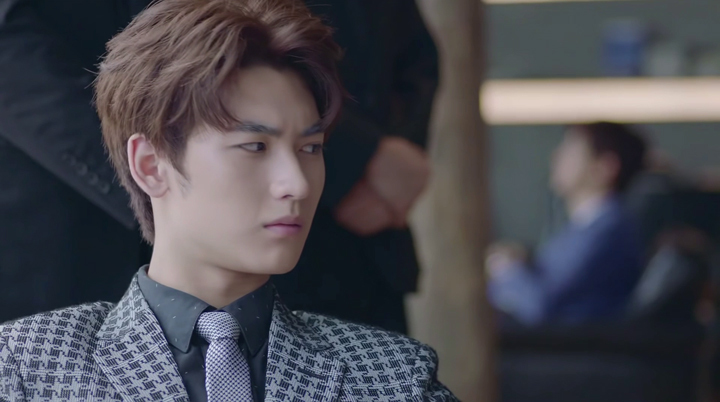 To stop this scene from eventuating, He Jie goes to make Gong Cheng become just another insignificant customer in the coffee shop whilst he, himself, becomes the person who makes the encounter with Lu Zi Xing and makes an impression on her. He Jie waits in the coffee shop for the moment to come. This is waiting for Gong Cheng to finish a brief phone conversation with his mum who calls to see if the blind date with Pei En Cai is going smoothly. (Gong Cheng informs it isn’t. Pei En Cai hasn’t arrived yet.) He Jie is still waiting when the coffee shop boss decline to give Lu Zi Xing a pay in advance when she asks for one. 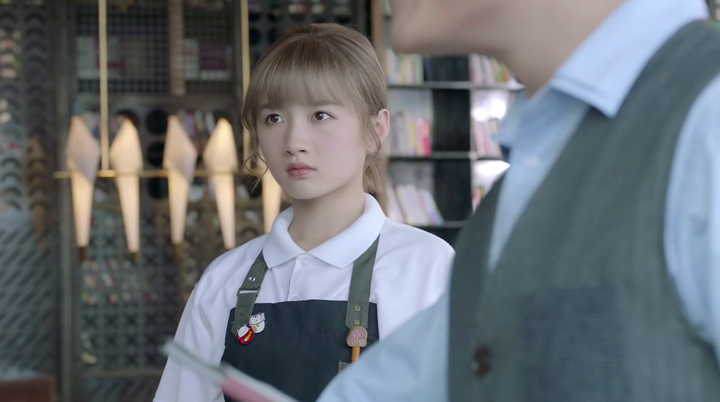 The moment is near when the coffee shop boss tells Lu Zi Xing to go back to work and Lu Zi Xing makes a coworker shatter plates when she turns to get back to work. 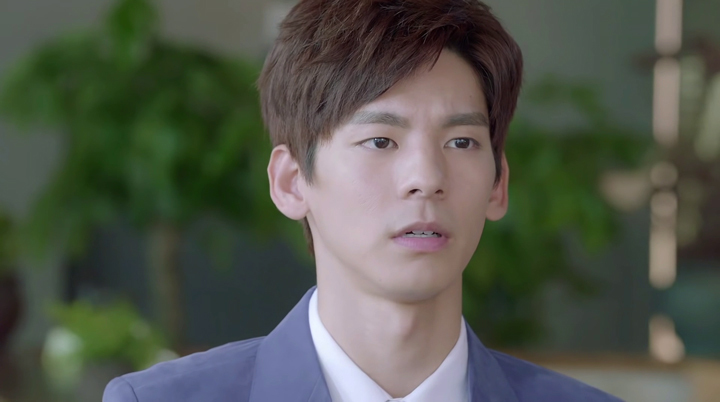 He Jie gets up from his seat and again beats Gong Cheng from saying his next dialogue. This is saying that the noise has disturbed him in listening to the rain. 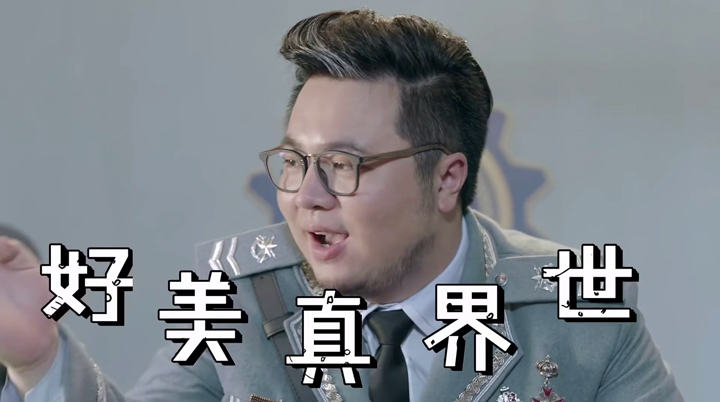 He Jie then introduces himself to the coffee shop boss: he’s He Jie, the CEO of He Enterprise of He Group and wishes to know how much the coffee shop is because he wishes to purchase it. 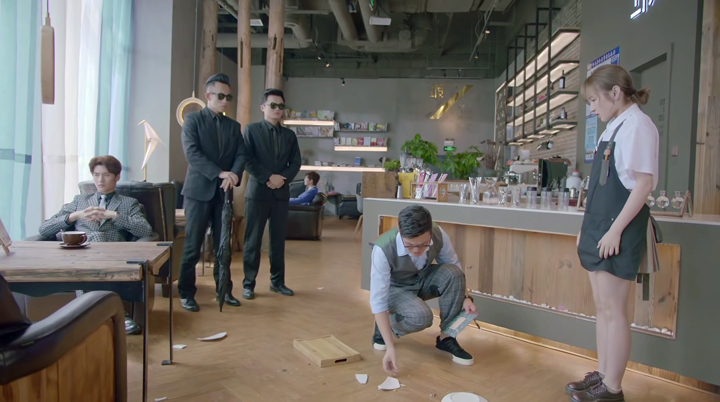 As He Jie hands a cheque to the coffee shop boss, Gong Cheng exits the coffee shop with his bodyguards in tow without making much of an impression on Lu Zi Xing. He Jie further shows his impressive person to Lu Zi Xing when he helps her pay off the money her family owes to loan sharks. Lu Zi Xing’s father had brought the loan sharks to the coffee shop, telling them his daughter has the money to pay them back. He Jie presents a blank cheque to the loan sharks and says for them to fill in the required amount. The story behind Lu Zi Xing owing money to the loan sharks comes from the need to pay for the medical expenses for her mother. Lu Zi Xing’s father doesn’t seem to be someone who’s able to come up with the money when he comes across as an irresponsible father and get everyone else to come up with the money to pay the loan sharks. A moment follows where Lu Zi Xing almost says the line, “The world is truly wonderful.” It comes when Lu Zi Xing asks He Jie why he was being so nice to her. “Because the world is truly wonderful,” He Jie says before leaving Lu Zi Xing to ponder on the line he just said. Lu Zi Xing only misses saying the word ‘wonderful’. He Jie looks to have resolved the problem Lu Zi Xing has with the loan sharks and she seems to be on her way to a change of fate. However, the loan sharks seek her again and she goes back on course to her miserable fate. It’s that the cheque He Jie gave has a problem: He Enterprise doesn’t exist and hence the cheque is not accepted. The loan sharks inform Lu Zi Xing she has five days to gather money—real money to pay back what her family owes. This brings Lu Zi Xing back to going to Gong Cheng. And Lu Zi Xing has a way to make a connection with Gong Cheng. The moment in the manga that He Jie says is the defining moment that connects Lu Zi Xing and Gong Cheng is when Lu Zi Xing finds Gong Cheng’s wallet at the coffee shop. Lu Zi Xing indeed has Gong Cheng’s wallet. She saw and picked up the wallet left in the seat Gong Cheng had occupied when she went to clean up the broken plates. This is a detail in his manga that He Jie says he failed to remember. 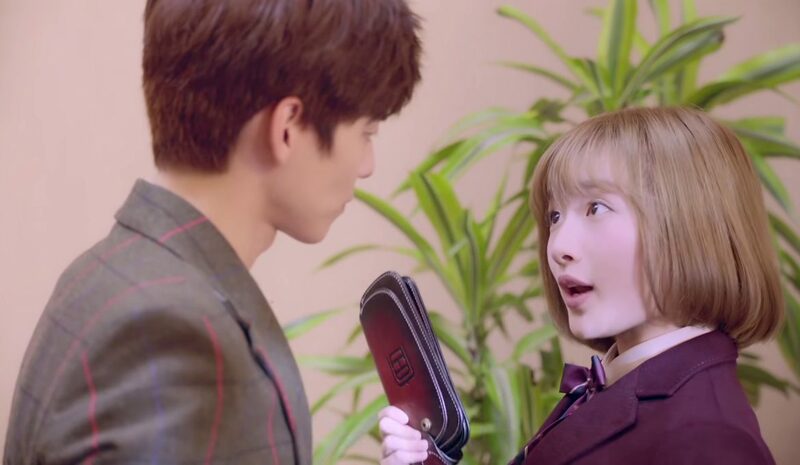 He, therefore, goes to stop Lu Zi Xing from using the wallet to make a connection with Gong Cheng. 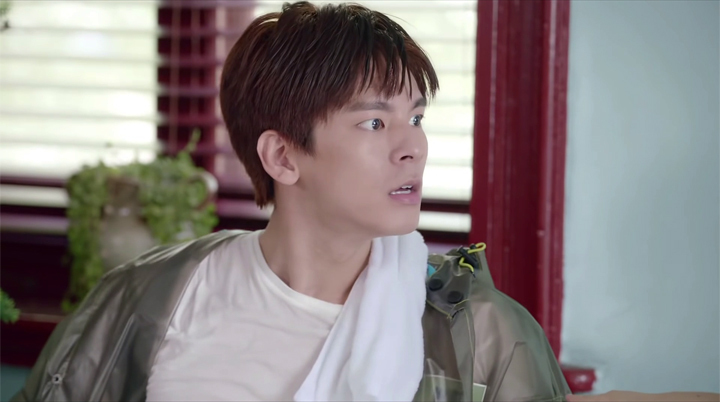 He Jie manages to intercept the wallet, but he fails to stop Lu Zi Xing from making a connection with Gong Cheng. Lu Zi Xing has Gong Cheng’s credit cards. She returns these credit cards to Gong Cheng to make a connection with him. This brings in the next event in the manga. Lu Zi Xing attends a ball that He Jie says is one held by Gong Group as an event to bring Gong Cheng and Pei En Cai to meet and get to know each other. In the manga, it sees a missed dance between Gong Cheng and Pei En Cai and an opportunity for Lu Zi Xing to be a dazzling lead for the evening. Lu Zi Xing is told to have purposefully spilt red wine on Pei En Cai’s dress. This got her out of the way and allowed Lu Zi Xing to become Gong Cheng’s dancing partner for the evening. He Jie indicates he will change this. 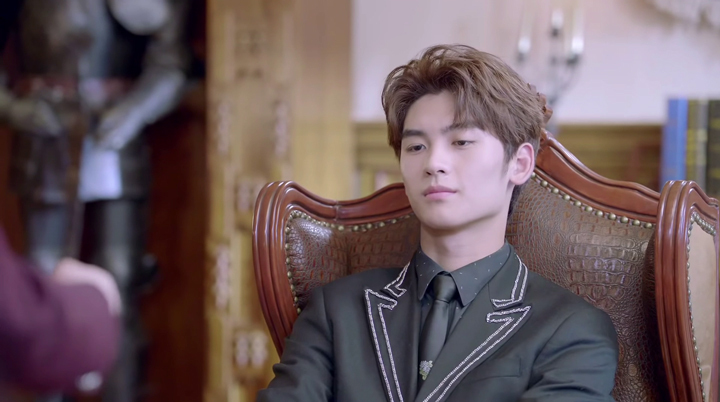 So, in Episode 1, there’s this hate-hate relationship built between He Jie and Lu Zi Xing which makes the relationship side of things interesting. There’s also Lu Zi Xing coming across as quite the underdog. So, she’s someone who we are already rooting for to have a happy ending. We can’t see what that happy ending would look like at this point, though. This is also something that keeps us interested in the drama. Being curious to see if the manga He Jie wrote is an actual manga, we searched and came across a 2002 drama of the same name. In English, it’s called Romantic Crystal Love. We didn’t go into reading too much about Romantic Crystal Love, but that drama and this drama is set in school and the male lead character and the two main female characters seem similar to the one in He Jie’s Crystal Love manga. 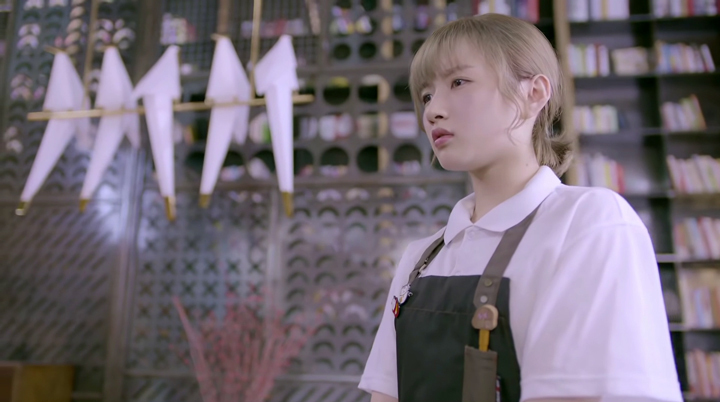 There’s one thing we’re curious about with He Jie buying the coffee shop Lu Zi Xing worked part-time at. We think He Jie also used a cheque to purchase the coffee shop. That cheque didn’t seem to be rejected since we didn’t hear anything about the coffee shop boss complaining about the cheque being fake. Yet, the cheque that He Jie gave to pay off Lu Zi Xing’s loan off got rejected. It was explained that He Enterprise didn’t exist and hence the cheque got rejected. But, what about the coffee shop He Jie purchased with a cheque? The developments in Episode 1 shows a lot of potential for a good watch. We are eager to continue onto Episode 2. We’re particularly curious to see the female lead character, Pei En Cai, enter. There were only mentions of her in Episode 1. 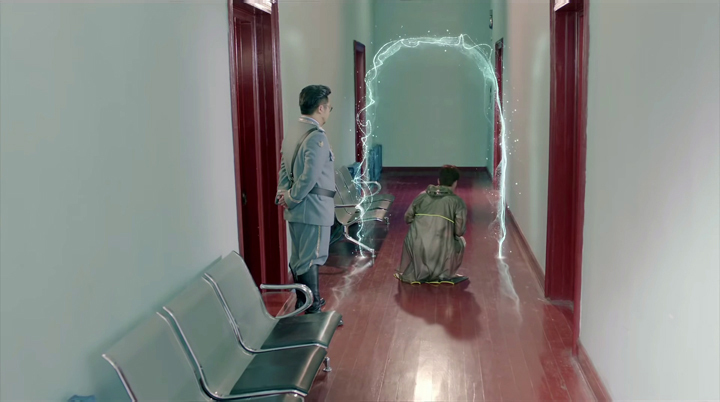 So, Pei En Cai’s entrance is what we’ll be looking forward to seeing in the next episode. We want to see why He Jie describes the pairing of Gong Cheng and Pei En Cai as ‘sprinkling on sugar’ while he describes the pairing of Gong Cheng and Lu Zi Xing as ‘stepping on a mine’.